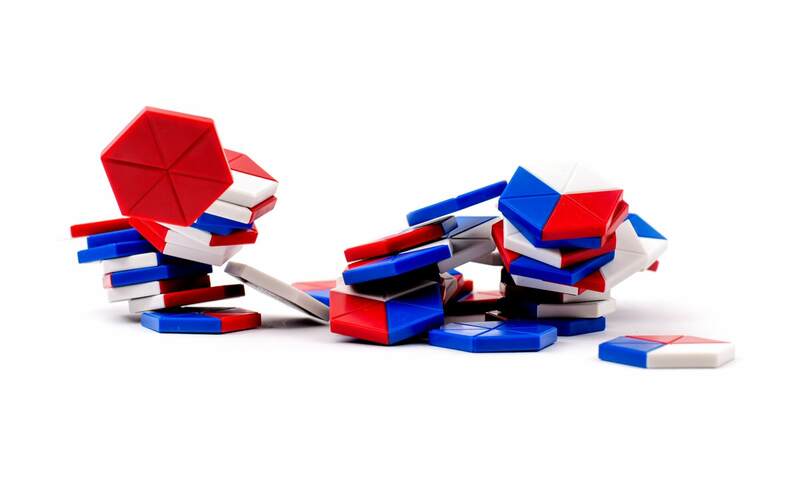 HexAgony is a tabletop abstract strategy game invented by Andy Allen way back in 1985. 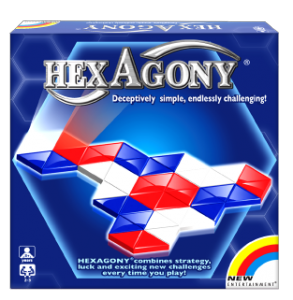 Andy wanted to create a game that he could play with colleagues during their lunch hour, and HexAgony was one of a number of games that he created. 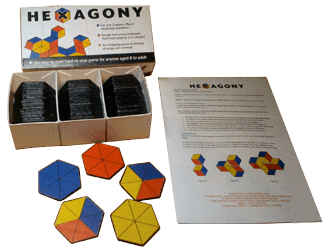 Having cut out 60 paper hexagonal playing pieces, and coloured them in by hand (colour printers weren’t available back then), Andy took the game into work and played it with colleagues, and it received good feedback. Thinking that this could be the next Othello, Andy typed up some instructions and sent the game off to Waddingtons, eagerly awaiting their reply. Rejection came swiftly, and the game was just as quickly consigned to the bin. 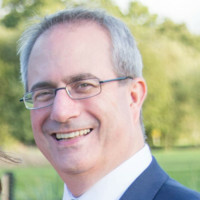 Fast-forward to 2001 and Andy was developing computer products, and happened to mention the game to a colleague. 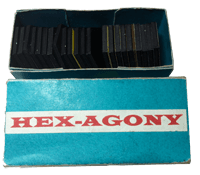 They made two sets of counters out of aluminium (the same aluminium used in the computers) and the game was briefly brought back to life. Unfortunately the game ended up back in the loft when Andy’s colleague headed off to a new life in Australia and Andy changed jobs. It was another 10 years before a chance introduction led to a meeting with a large toy manufacturer in China. After a number of revisions the game has developed into what it is today. To read more about the incredible 30 year story, please see Diary of an Inventor.